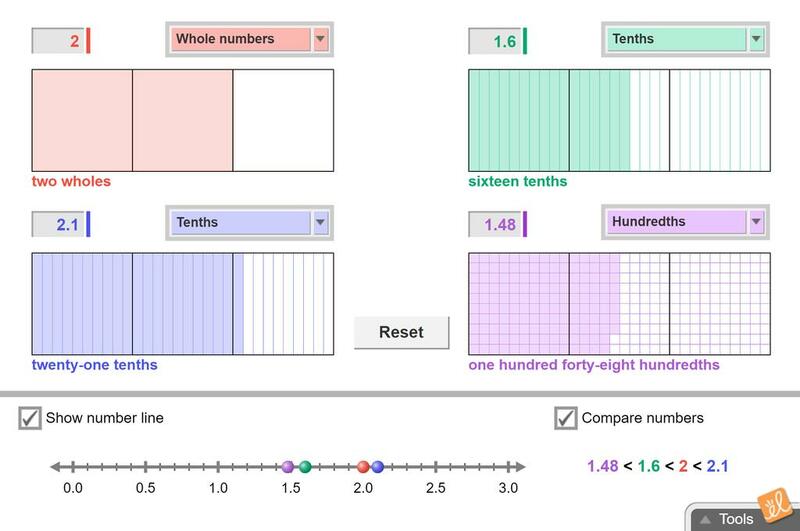 Use grids to model decimal numbers and compare them graphically. Then compare the numbers on a number line. Students will use this activity to demonstrate understanding of putting decimals in order from least to g... (more)reatest, as well as using decimals to create compound inequalities. This activity is a modification of the original and is geared towards helping students break the concept into smaller pieces. This document is the French translation of the Student Exploration Guide for Comparing and Ordering Decim... (more)als. This translation was made possible by Alberta Regional Professional Development Consortia and ExploreLearning. This document is the French translation of the Assessment Questions for Comparing and Ordering Decimals. ... (more) This translation was made possible by Alberta Regional Professional Development Consortia and ExploreLearning. I have made this modified assessment for students that are lower grade than a grade 6 level. Lesson Ideas from Gizmos in a kid friendly format. Great Gizmo for those that don't quite understand how to compare and order decimals. Excellent gizmo for grade 6 math.